Update: The 0% intro period of 0% APR on purchases and balance transfers is now valid for 12 months. The Blue Business℠ Plus Credit Card from American Express launched in May 2017 and it’s still a winner. It earns 2 Membership Rewards points per dollar everywhere on up to $50,000 of purchases per calendar year. You can have multiple of the same card and you would get 2 points per dollar on $50,000 of annual spending for each primary card that you have. Best of all, there is no annual fee. Terms and restrictions apply, see rates and fees here. Currently, the Blue Business Plus AMEX offers a 12 month intro period of 0% APR on purchases and balance transfers. After 12 months you’ll pay a variable rate, which is currently 15.49% to 21.49%. As interest rates have climbed other cards have also gotten rid of their APR offers. 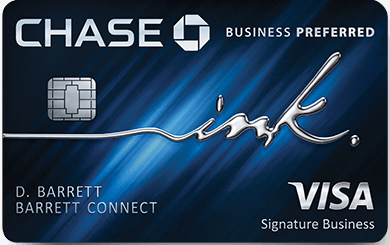 Earlier this month the 0% APR on balance transfers was removed from Chase Ink cards. 0% APR is a lucrative offer as carrying balances on consumer cards can have a very harmful effect on your credit score, but because as the Blue Business Plus AMEX is a business card, those balances won’t hurt your credit score. The Chase Quinfecta strategy is highly lucrative for racking up and redeeming points, but you’ll need to have between 2 and 5 Chase cards to maximize that strategy. You’ll also have to have at least one card with an annual fee. 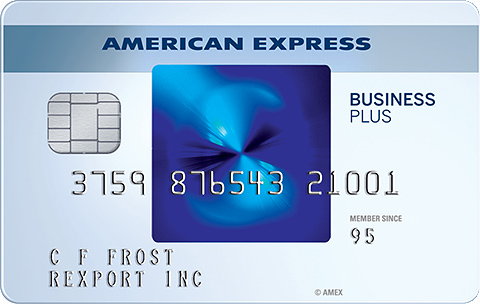 With the Blue Business Plus AMEX you can rack up the points on everyday purchases and transfer them into airline miles without needing any other cards or paying any annual fees. Plus, AMEX often has transfer bonuses to airline partners, something that Chase purposefully never has. For example when AMEX is offering a 40% mileage transfer bonus you’ll have effectively earned 2.8 miles per dollar spent on this card! If you value the airline miles at 1.5 cents each, that’s an effective rebate of 4.2% everywhere! You can transfer points to airlines like ANA, Air Canada, Avianca, or Singapore for Star Alliance travel. Points transfer to Aeromexico, Alitalia, Air France/KLM, or Delta for Skyteam travel. Transfer to BA, Cathay Pacific, or Iberia for OneWorld travel. Other transfer options include El Al, Emirates, Etihad, Hawaiian, JetBlue, or Virgin Atlantic. Mileage transfers can be quite lucrative for one-way, last-minute, or premium class travel. The value with airline miles can be under a cent each if used poorly, but properly used the points can be worth 2 cents, 5 cents, 10 cents, or even more per point, the sky is the limit. Multiply that value by 2 points per dollar spent plus rotating transfer bonuses and you can see how valuable this card can be. If you also have The Business Platinum® Card from American Express you can get a 35% points rebate on coach airfare on the airline of your choice and a 35% points rebate on business/first class airfare on all airlines. That’s a great benefit as it allows you to combine the amazing everyday earnings of Blue Business Plus AMEX and get a fantastic value for your points even when there is no award space. Plus AMEX has insider fares that allows you to save even more on the redemption. 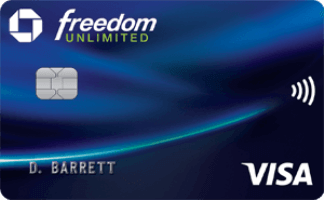 However unlike using the Chase Freedom Unlimited or Chase Ink Unlimited card for everyday spending via the Chase Quinfecta, you don’t need another card to transfer points into miles. The Blue Business Plus card can do that all on its own. The main drawback of the Blue Business Plus AMEX is that other than the APR offer, there is no public welcome bonus. 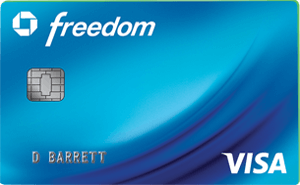 Other great everyday spending cards have bonuses, such as $500 in the form of 50,000 points on the Chase Ink Unlimited card, 70,000 miles on the Barclaycard Arrival Plus® World Elite Mastercard®, and 3 points per dollar for the first year (up to $20,000) on the Chase Freedom Unlimited. But the long-term earnings of 2 points per dollar everywhere makes the Blue Business Plus AMEX a very strong card. AMEX business cards don’t appear on your credit report. That’s good for several reasons. First of all, they won’t count against your 5/24 count for opening new Chase cards. Only cards on your report that have been opened within the past 24 months count for that. Secondly, if you close a business card it won’t ever have an effect on your score. Thirdly, when you spend money on personal cards your credit score will be hurt even if you pay your bill on time. A whopping 30% of your credit score is based on credit utilization. You can pay off your card bill before your statement is generated to avoid that, but that takes effort and laying out money well before you have to. Additionally it’s good to have the statement close with a couple dollars to show the card is active and being paid every month. On an AMEX business card it’s just not reported, so you can wait until the money is due without it having a negative effect on your score. Will you signup for the Blue Business Plus AMEX? 45 Comments On "Here’s Why You Should Have The Best Standalone Everyday Mileage Earning Credit Card"
Just filled out the application, but when I submitted, it says the offer is no longer available. Try another browser or device? Was wondering the same. And yes I read the article! Read the bold red letters? Just applied. 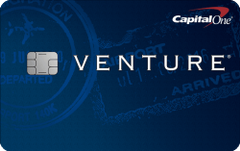 AmEx has a cap of 5 “lending” cards? They said I was at my cap (I have far more than 5) but I would need to close one to get this one… This standard? There is a cap, though it’s not always enforced. You posted that I can open the card more then once? Yes. You can have multiple of the same AMEX card. What do you mean you can apply for multiple primary cards can you get more than one primary card under the same business name . Because you have or have had the Blue BusinessSM Plus Credit Card, you are not eligible to receive the welcome offer. I got a notification from AMEX that my history with American Express welcome offers, introductory APR offers, or the number of cards I have opened and closed, I am not eligible to receive this welcome offer. Any way around this? Not that I know of, but you can still apply anyway. When transferring personal credit card debt to a business card, does it affect your credit? Lower personal debt means your score will go up. Lower personal credit limits means your score will go down. It won’t. I was responding to both of you. Why do you recommend this over the simply cash and cash magnet? Those don’t earn 2 points per dollar everywhere and those cards don’t earn points that can be transferred into miles. Applied and approved, thanks so much!! Just chiming in to say I love this card. My wife and I used to be mostly just Chase focused, with a little Amex here and there (I’m looking at you every day preferred), but since she signed up for this we are putting all of our non-bonus category stuff on it and racking up points. Even managed to sign up when we got a targeted 20K bonus back in November. Might be the best bonus and earning for any no-fee card I’ve ever had. Just applied and approved. When prompted for balance trasfer, it won’t allow me to transfer from another amex. Is that a thing? Workaround? Had the same question, found the answer in the T&C. I think there is a foreign exchange fee of 2.7% for all charges abroad on this card. Also a negative feature of this card. Correct, though Chase’s no annual fee cards also have Forex fees. What’re your thoughts about this card, if you are Chase focused? Should I diversify my points? I got the CIU last month, met the signup threshold and I don’t know if I should even get this card. I don’t have any spend coming up. Any other non-categorical spend I have, I feel like I should put it on my CIU, instead of getting this card and putting it there. In general, diversity is a good hedge against devaluation. Also helps for when there are bonuses or partner that make more sense from one bank than another. If I’m a regular teacher, get paid regularly (with a W2), and want to keep track of my classroom expenses separately, am I eligible? W-2?, me thinks not, it’s a business card. I have the Blue for Business card for years. Can I upgrade it to Blue Business Plus? Seems like the only advantage to signing up today is getting a 0% APR. But there’s no reason not to take advantage of 0% APR on a business card. That’s free money that you can stick into an interest bearing account! If I got a pre approved offer with these same terms (15 months no apr) that expires 12/31/19 can I wait? I’ve had the Blue Cash card sitting in my drawer for years. Is that card still good for anything? are purchases of clothing, groceries, food, etc….included? so is it basically “all” purchases earn 2x MR points? Hi Dan this has nothing to do with this card I have a American Express Marriott bonvoy business card what is the best thing to do with my points is there any good offers to transfer?